Are you tired of looking for a luxury auto dealer in the Milwaukee area that is really there to meet your needs? 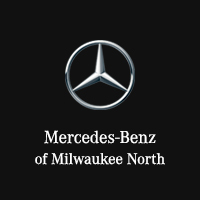 The team here at Mercedes-Benz of Milwaukee North has proven that we’re capable of meeting and exceeding the expectations of our shoppers, each and every time. Whether you’re in the market for a new Mercedes-Benz, a certified pre-owned Mercedes-Benz, or a used luxury car in great condition from another manufacturer, you’ll find it right here at our dealership near Mequon, Whitefish Bay, Glendale, Fox Point, and River Hills. Enjoy easy access to competitive financing, secure funds toward a down payment by trading in your current model, and bring your vehicle to our Mercedes-Benz service department for all your maintenance and repair needs—from routine service to transmission repairs. Our dealership is open for sales Monday through Saturday, and you can easily find us at 1400 West Silver Spring Drive in Milwaukee, WI.